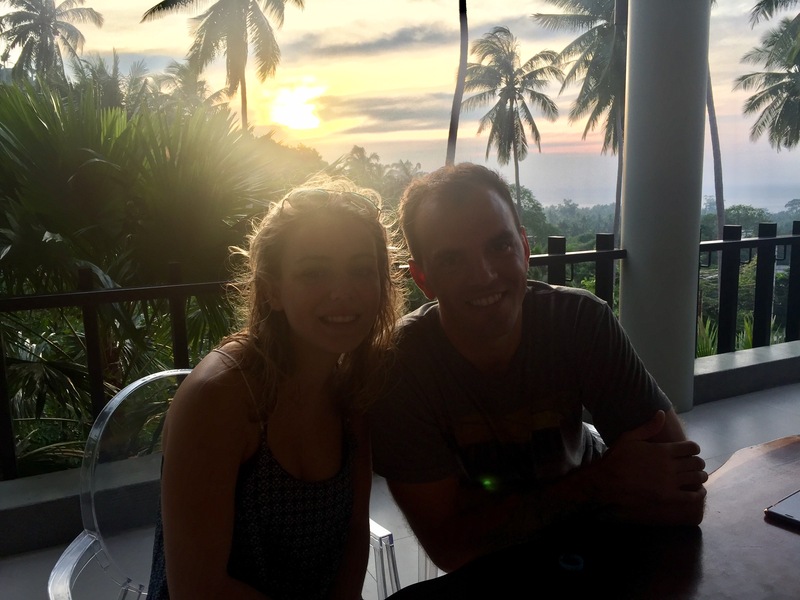 With only two weeks to explore Southern Thailand with Lilli, we made plans to see a little of both the east and west sides. 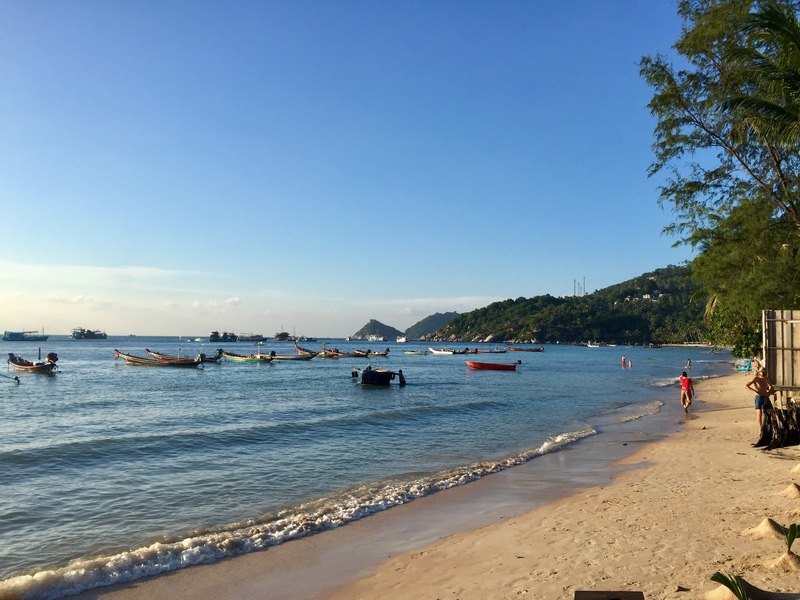 On the eastern side, the most popular places to visit are the larger but slightly more touristy island of Koh Samui, the small “full moon party” island of Koh Pha Ngan or the smallest island of Koh Tao. 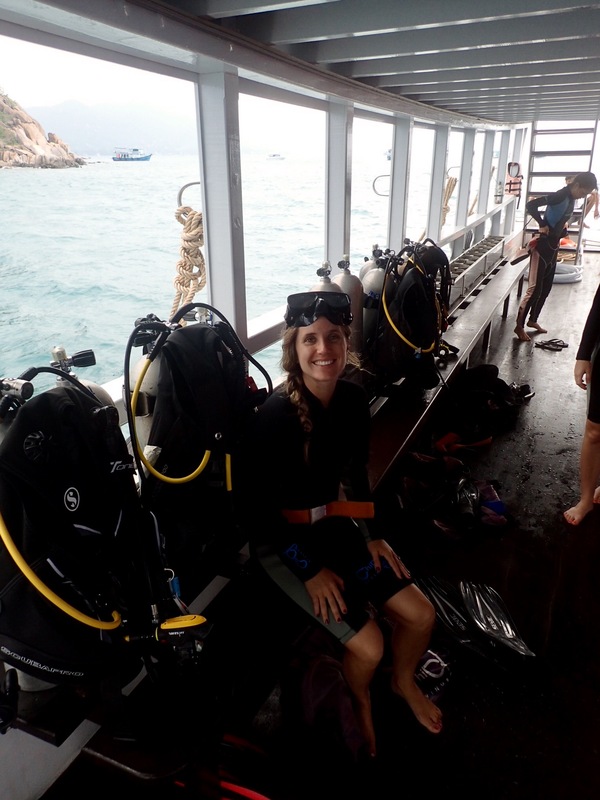 Lilli had only a couple things on her list for this trip, and scuba diving in Koh Tao became one of them when she was researching for her trip. 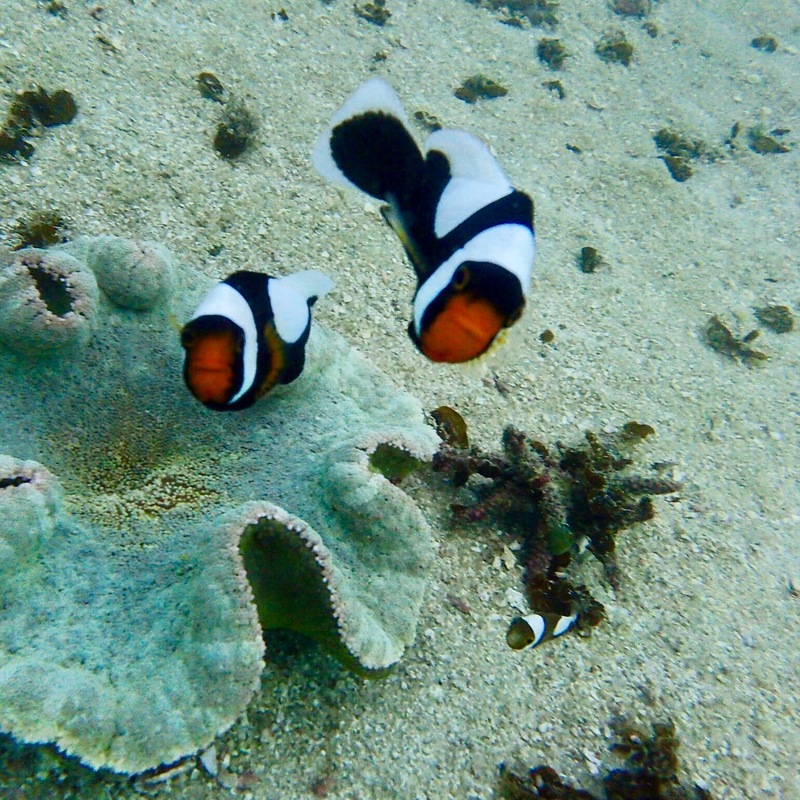 So we jumped at the opportunity to visit the most inexpensive yet stunning places to dive in the world. 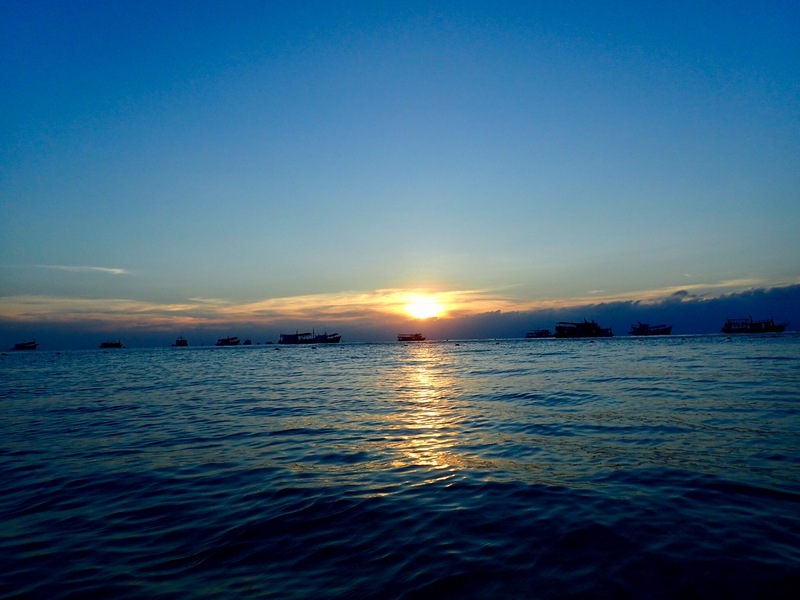 At 6am, we boarded the Lomprayah Bus in Bangkok for the long drive to Chumphon pier to set sail for Koh Tao. The bus ride was long and as expected, but as we walked the long pier toward the ferry I became a bit nervous with the wind picking up. (The last time I was on a ferry like this we were off the coast of Australia and the trip didn’t go so well. 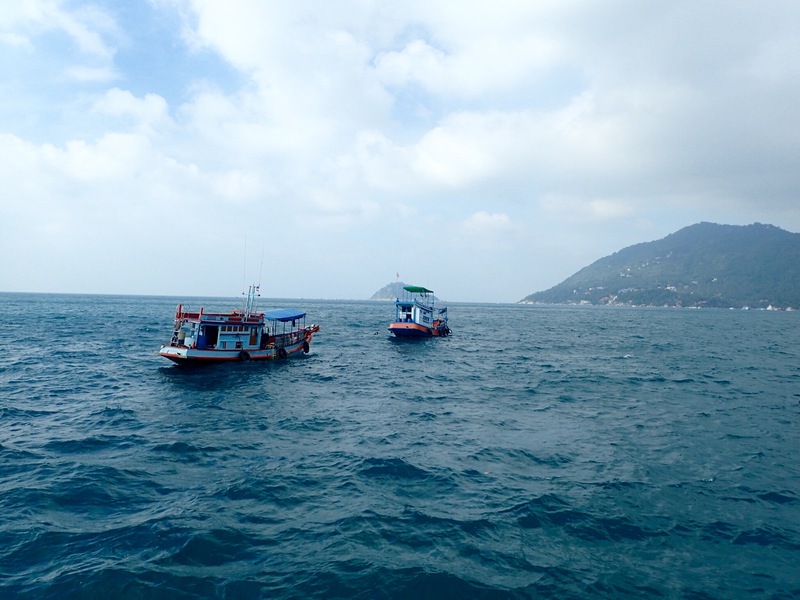 Nothing terrible happened, it was just an entire boat full of seasick passengers.) We swooped in and grabbed a few prime seats midway back near the window. Soon after, our ferry powered off the dock and out to sea. Within a few minutes we were out of the protected waterway and the swells were enormous. It didn’t take long before the heaving began. 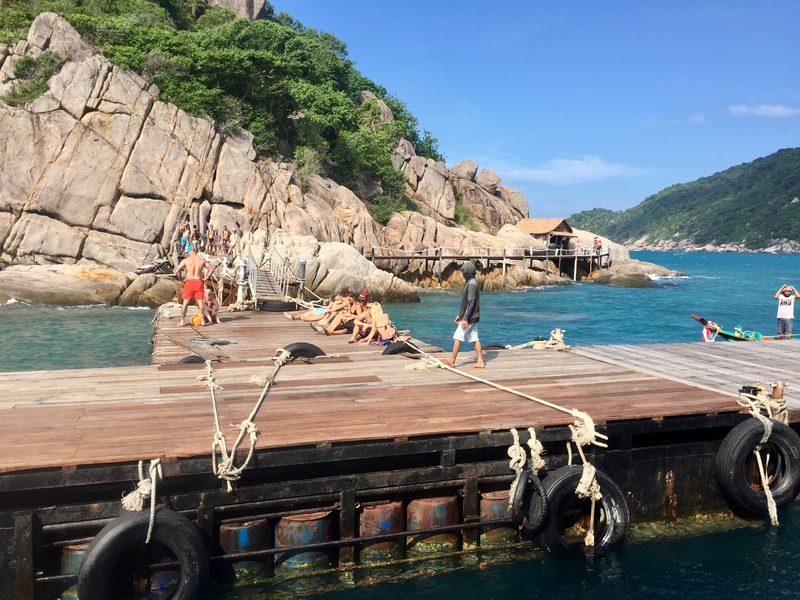 Luckily we remained well and within a couple of hours we were on shore in Koh Tao with thankfully only a residual nausea accompanied by a slight headache. 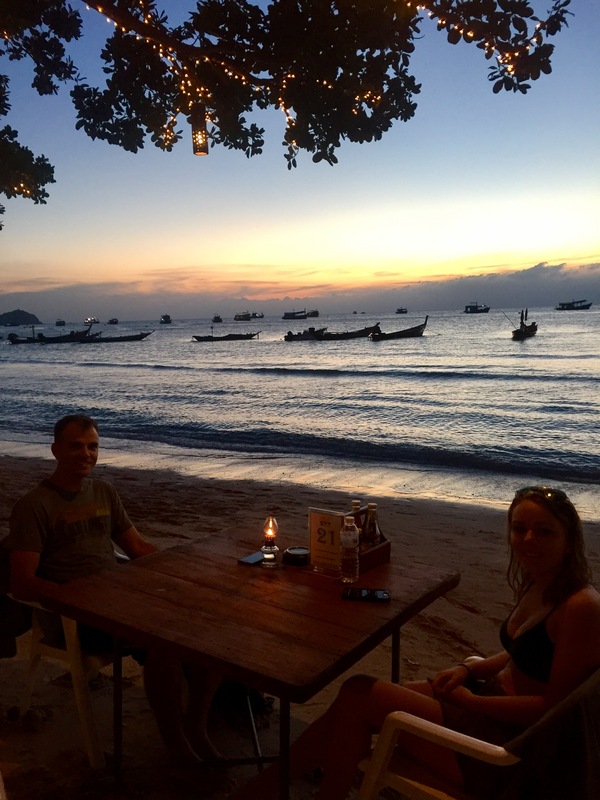 It was not the best start to a couple days in Koh Tao, but we were finally there. 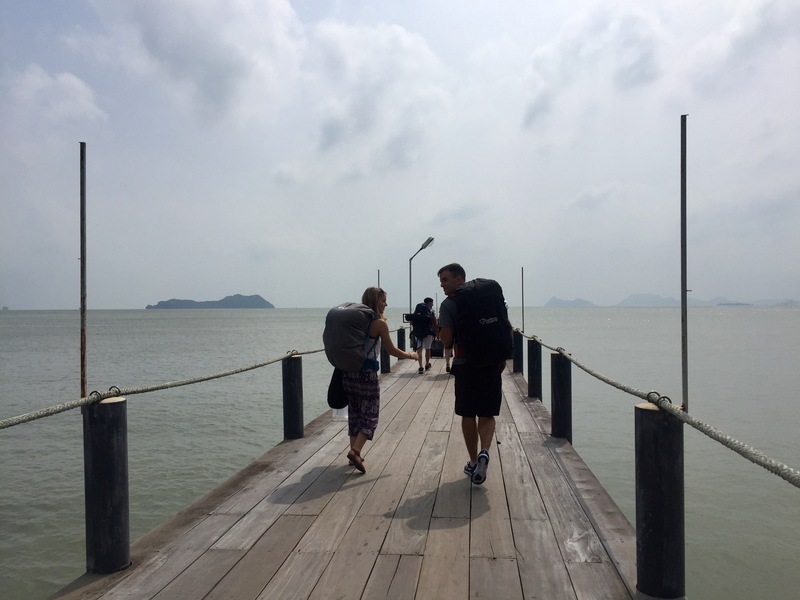 With our feet on solid ground finally, we decided to make the 35 minute walk to Summer Guesthouse and Hostel. 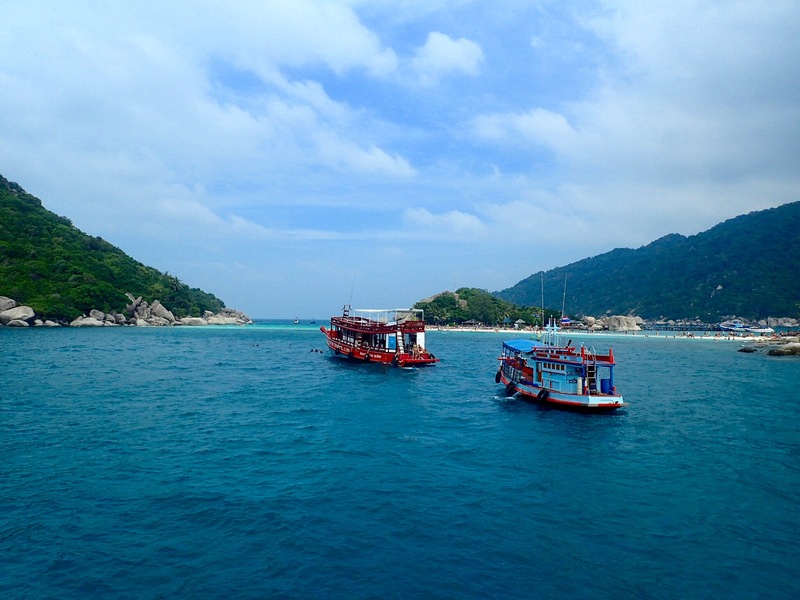 We took a very scenic path running along the shoreline passing by many restaurants, hostels, and other businesses. This gave us a good look at what the town had to offer and a few ideas of where we would return in the next couple days. We checked into our place, changed immediately and went right back down to the beach. Whitney and I had anxiously awaited this moment for more than two months. The last time we were at the beach was in Europe and after all the adventures that followed we couldn’t wait to feel the sand and the ocean again. 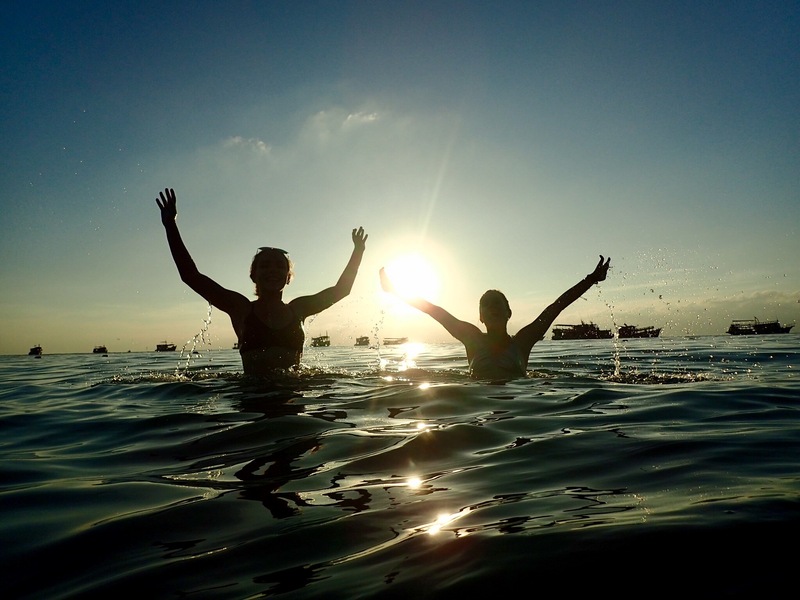 We spent the next couple hours splashing around in the water and waiting for the gorgeous sunset. Just after sunset we wandered further along the beach to a BBQ cranking up not too far away. (Also, I had spotted this one on the way and made sure we came back). 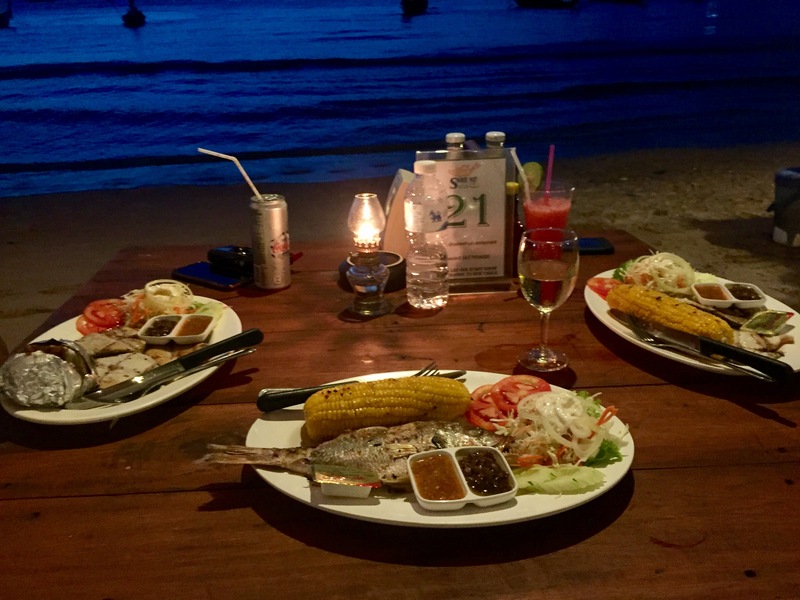 We were able to get one of the tables set right on the sand to enjoy our first meal on the island. 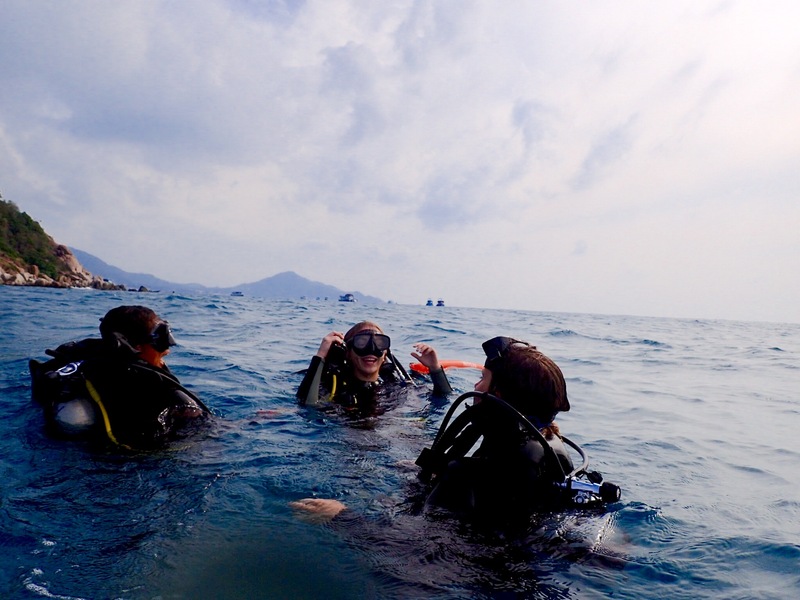 So, as I mentioned before, our main priority for visiting this beautiful island was to go scuba diving and we only had 2.5 days to do it. 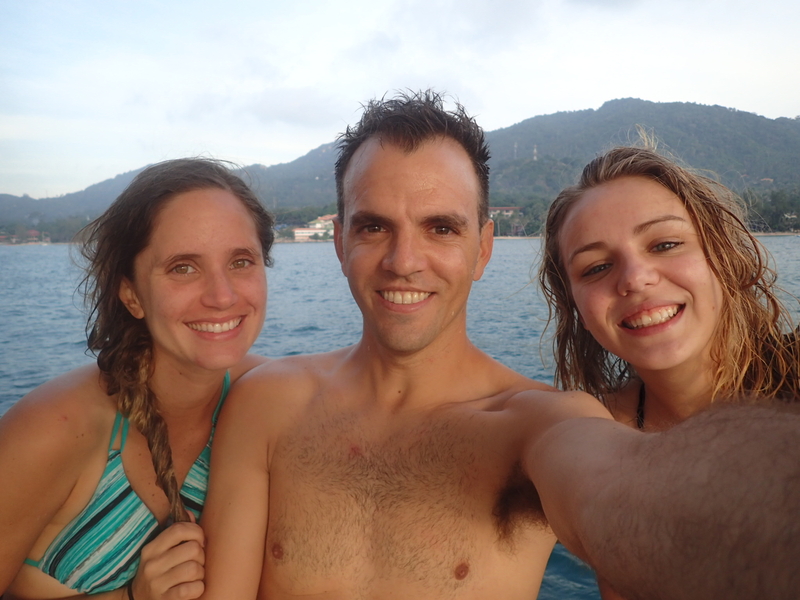 So first thing the next morning, with the help of the hostel staff, we were able to arrange a dive “refresher course” for Whitney and I at the same time Lilli would be doing a Discovery Dive which would take all 3 of us out on the boat for 2 open water dives. 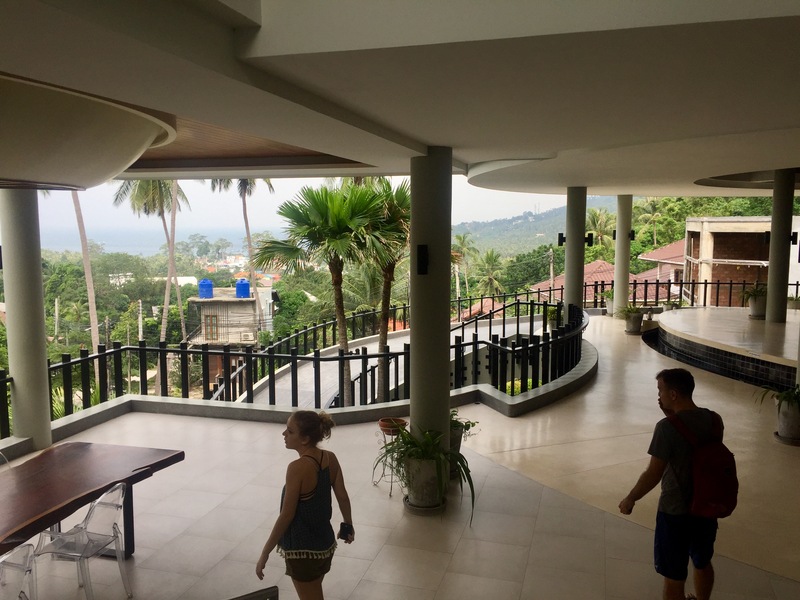 With about a half hour to get ready, we scrambled to get our things together before walking up the road to Chic Diving at the Tarna Align Resort. 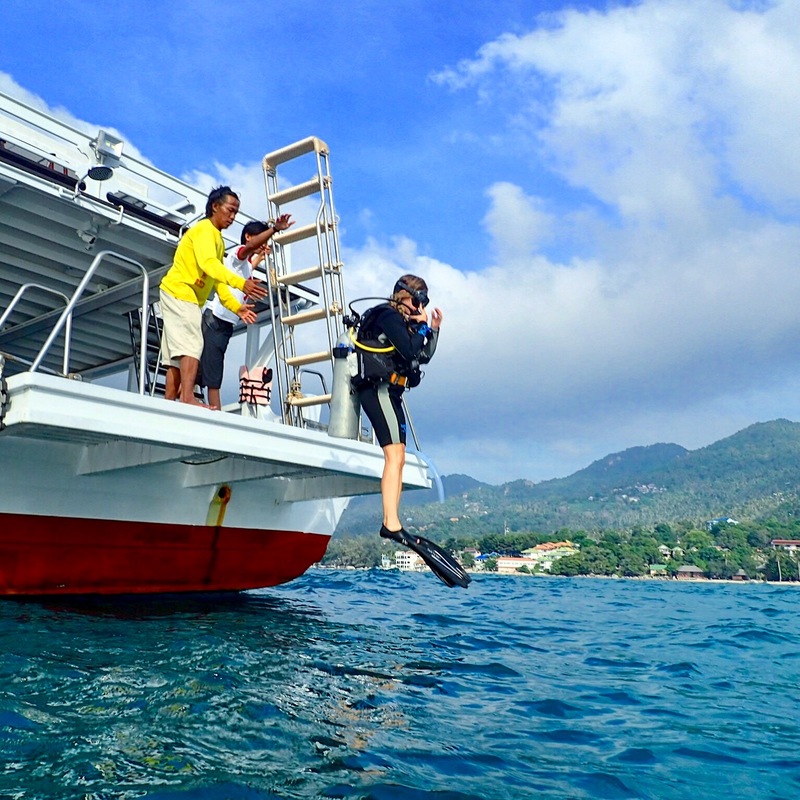 The dive course would take place at this brand new resort with skills evaluations in the pool followed by a couple of fun dives in the sea. 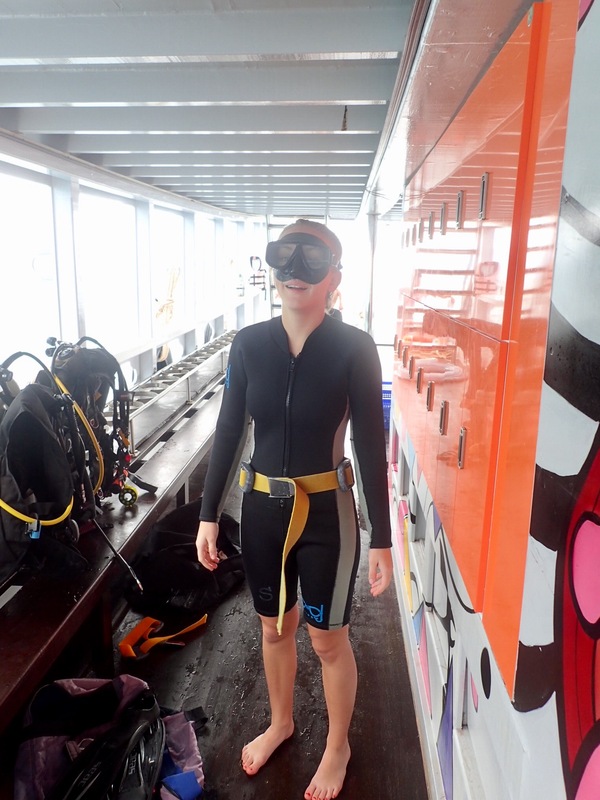 Thankfully, we really had the best instructor and breezed through the refresher course while Lilli prepared for her Discovery Dive. 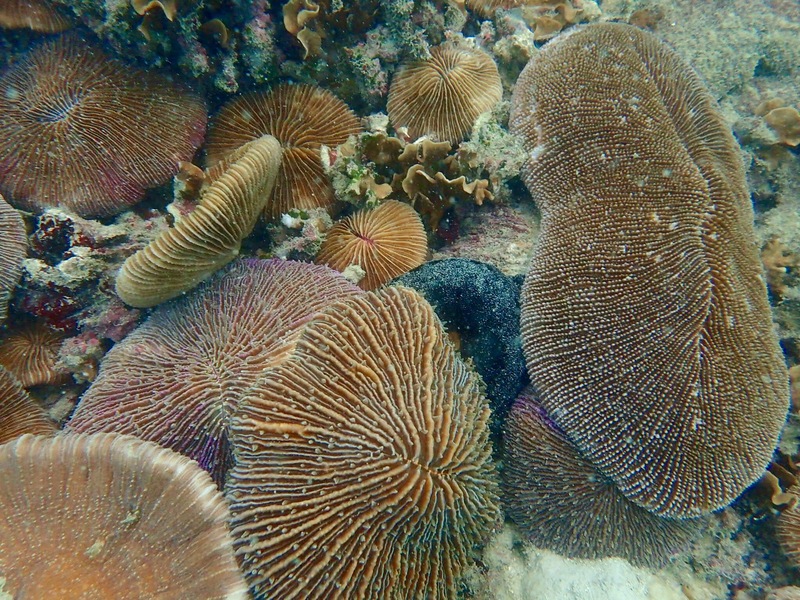 After lunch, we rode down to the port for our boat trip out to the reef. 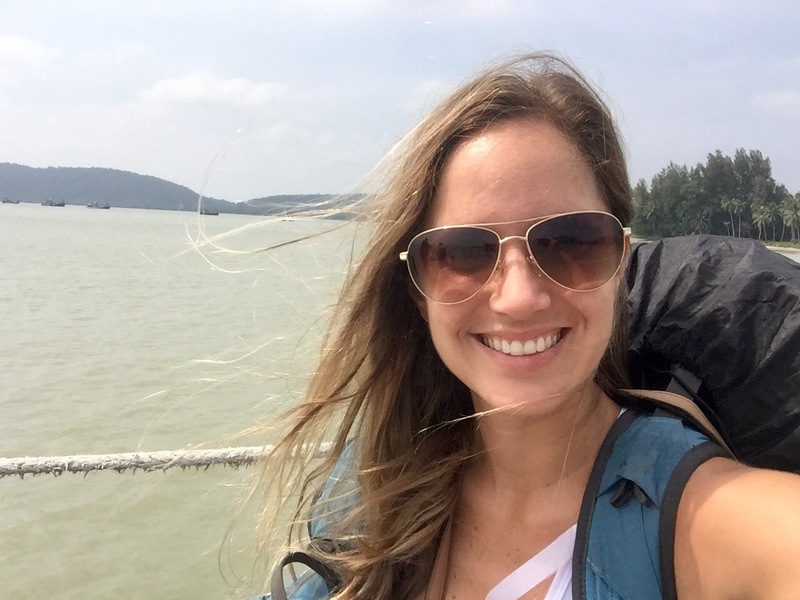 Once anchored, it was finally the moment we had been waiting for and we leaped off the back of the boat. Lilli jumped first, Whitney jumped second and I jumped last while snapping photos of it all. 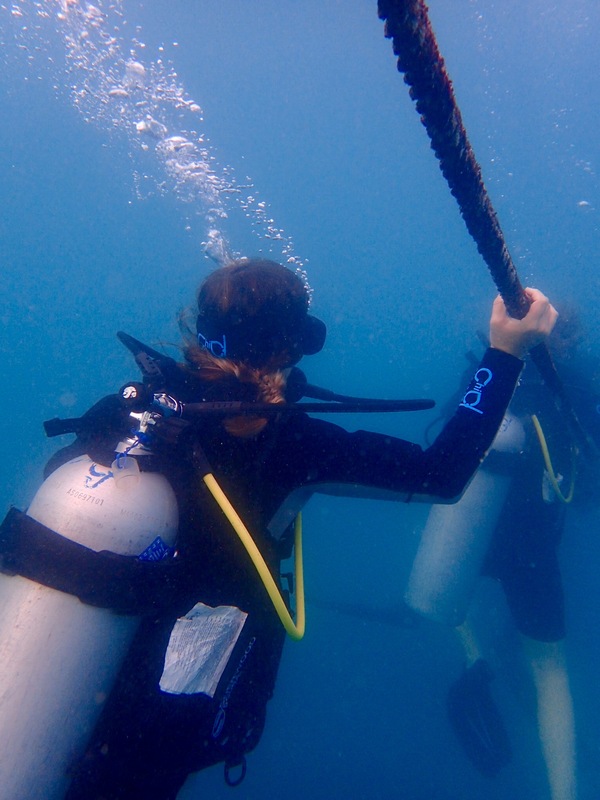 We slowly descended to the underwater reef for an exciting first dive…our first in over 5 years. 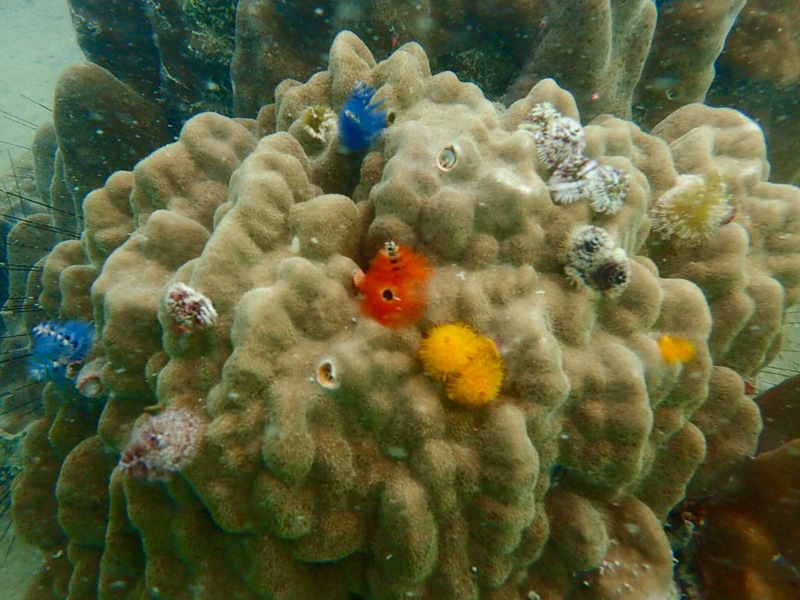 The visibility wasn’t the best, but the sea was full of life with colorful corals and fish swimming about. 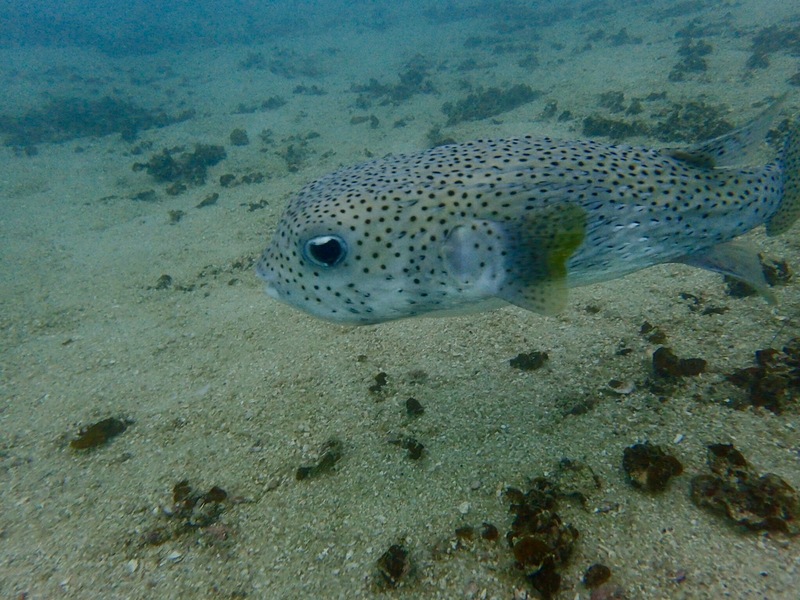 I had purchased an Olympus TG-4 Tough camera before our trip and took nearly a hundred pictures on our 45 minute dive. 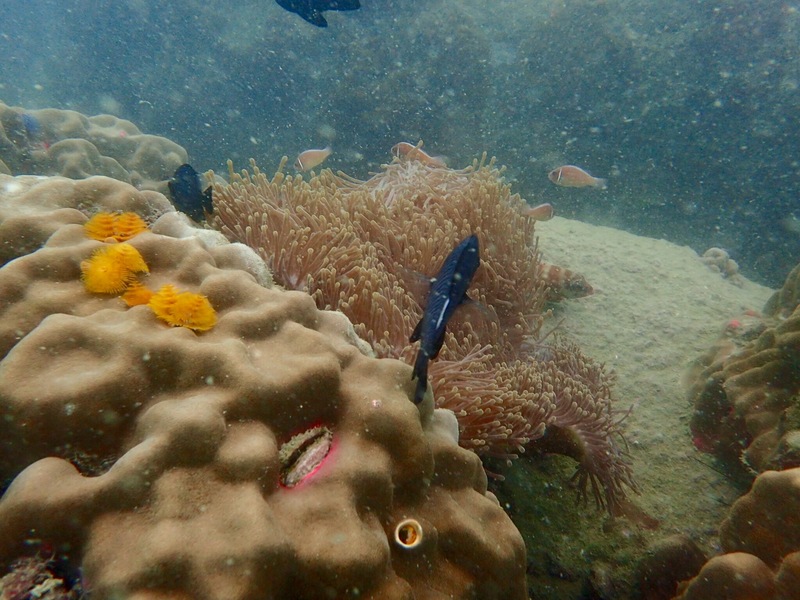 Our second dive was on a manmade reef which had many of the same fish, but wasn’t nearly as good as the natural reef. I still managed to take tons of pictures until the camera battery died. 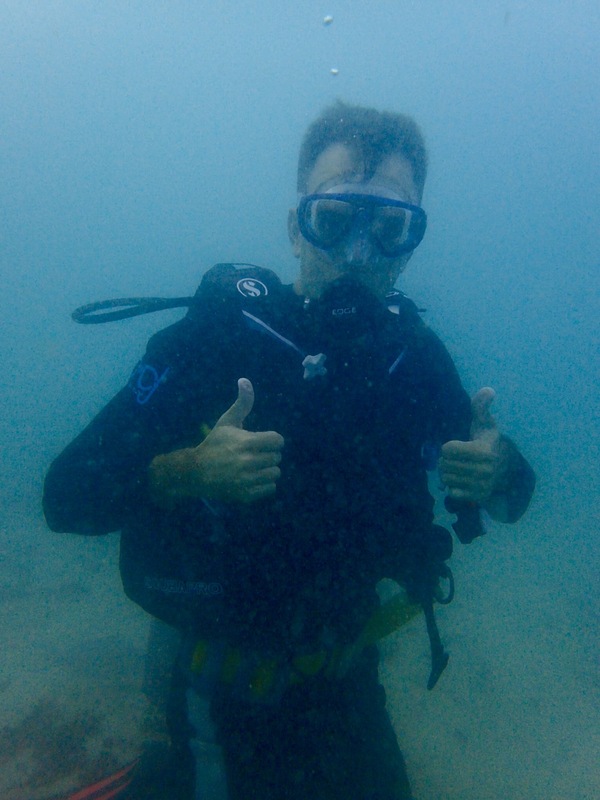 We finished our dives cleaned up and headed back into the village area for dinner. Scanning the menus at a few places I found some of my favorites and ushered Whitney and Lilli in to a small Japanese restaurant. 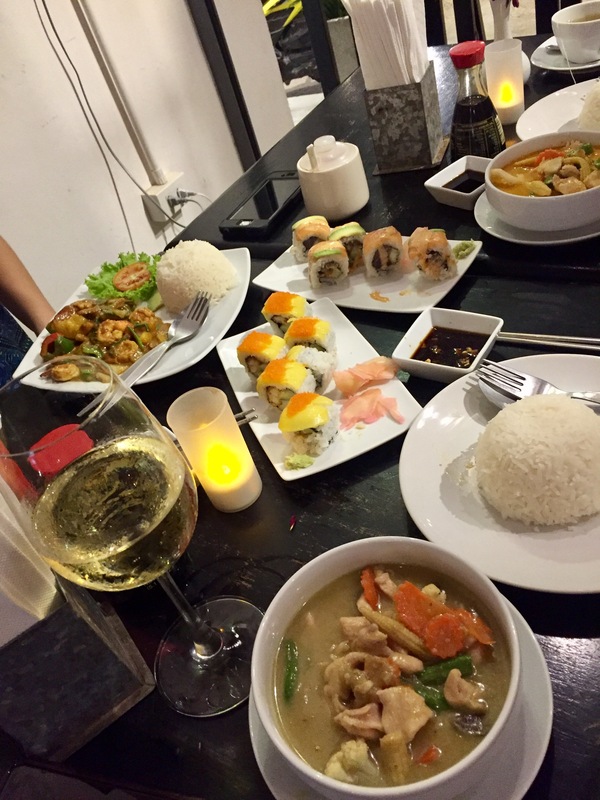 As expected, I was not disappointed with my tasty Japanese sushi and Thai red curry. 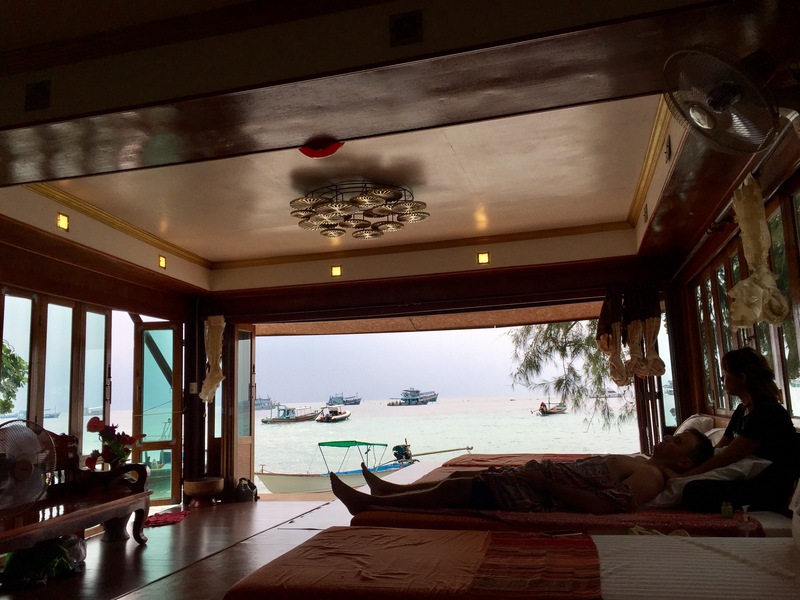 We woke up on our last day in Koh Tao with the rain pouring down. “So much for a beach day,” we said to each other. Hoping for a break in the weather we still got ready for a day in the sand and wandered down to the beach. 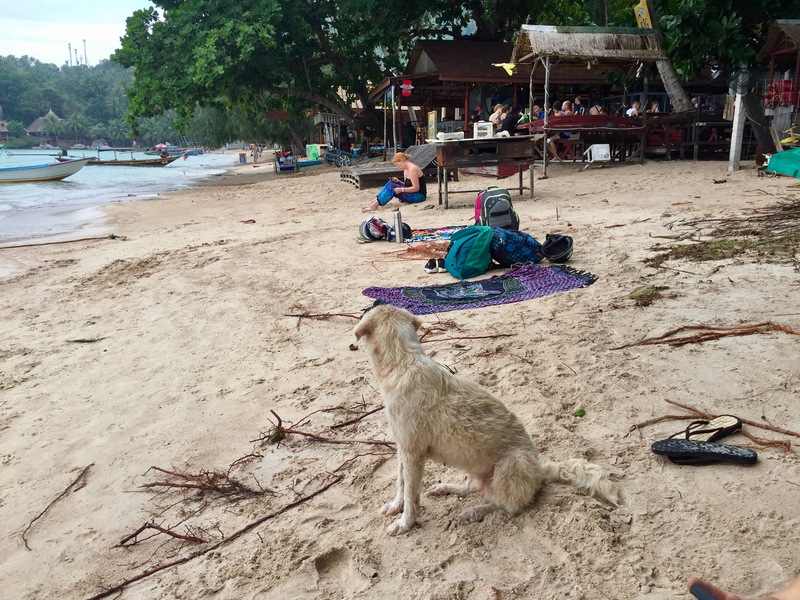 We sat briefly on the sand between rain showers where a couple stray dogs befriended Lilli. (This is a lead in to a course of rabies vaccines that interrupted our trip). 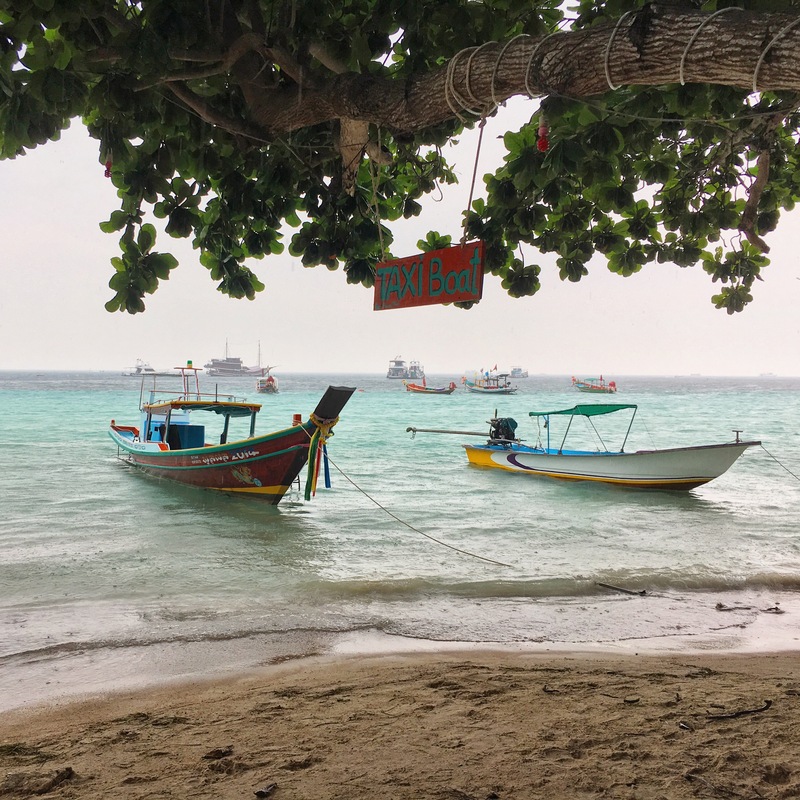 Then once the rain picked back up we hid under a small awning at a beach bar then spotted a cabana just next door offering beachside massages. 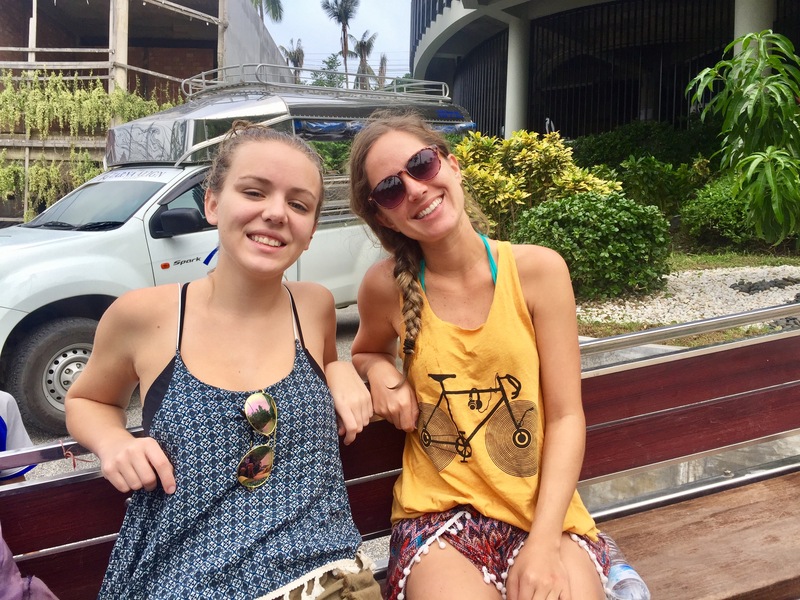 While Whitney and Lilli got a 60 minute foot massage, I laid back for another amazing traditional Thai massage, with a cool salty ocean breeze flowing through the open cabana. As we left the massage place, the cute little stray dog was waiting for Lilli. She petted the animal a few more times before shewing her away as I jokingly said, “stop petting the strays or you’ll get rabies.” Within a half hour, and with relentless googling, she was convinced she was exposed, so I walked her to the local clinic for the start of the series of shots. FYI, rabies may be present in the saliva of animals, especially stray dogs, even if they have no symptoms at all. This coupled with 100% mortality in humans, I couldn’t argue against it. That evening we splurged for an incredible dinner at The Gallery restaurant. 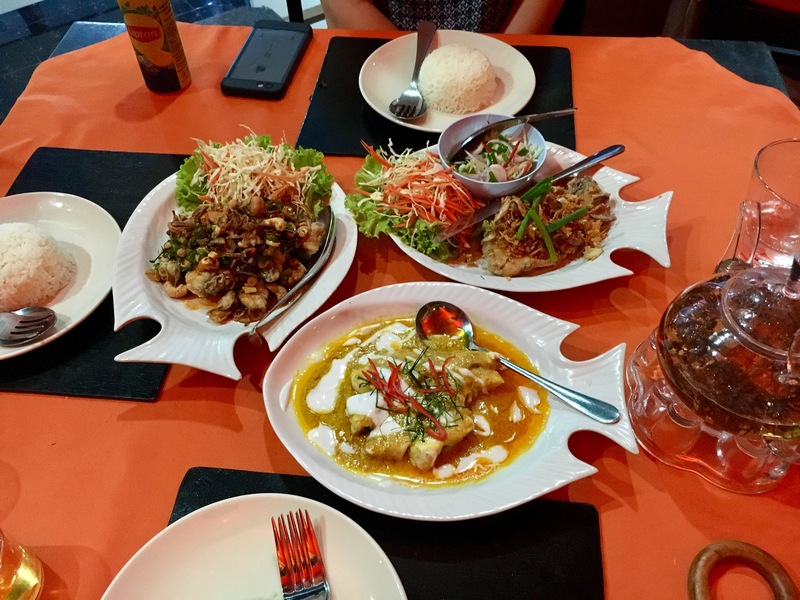 The authentic Thai food coupled with service we were used to from the USA made for a nice relaxing dinner. Check out the spread. 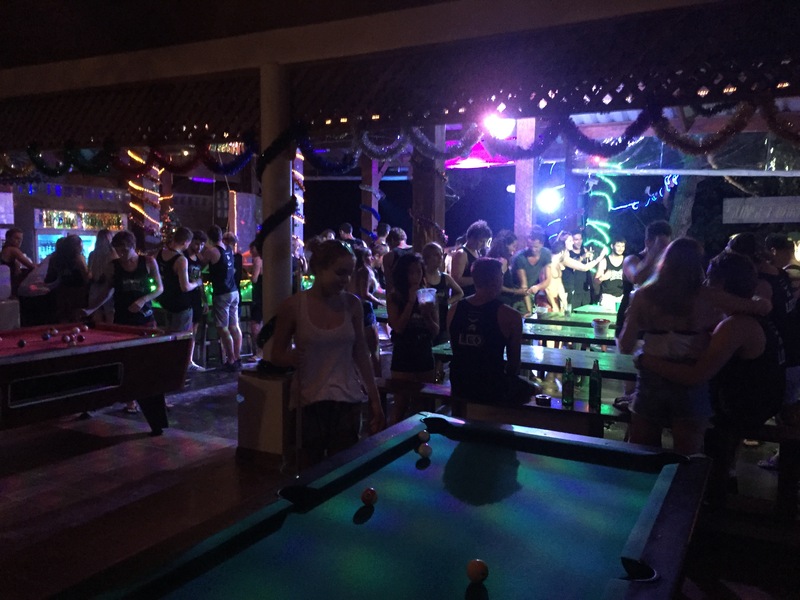 The rain had completely subsided when we finished dinner so we wandered back to the beach bar area and spent a little while partaking in the fun before calling it a night. 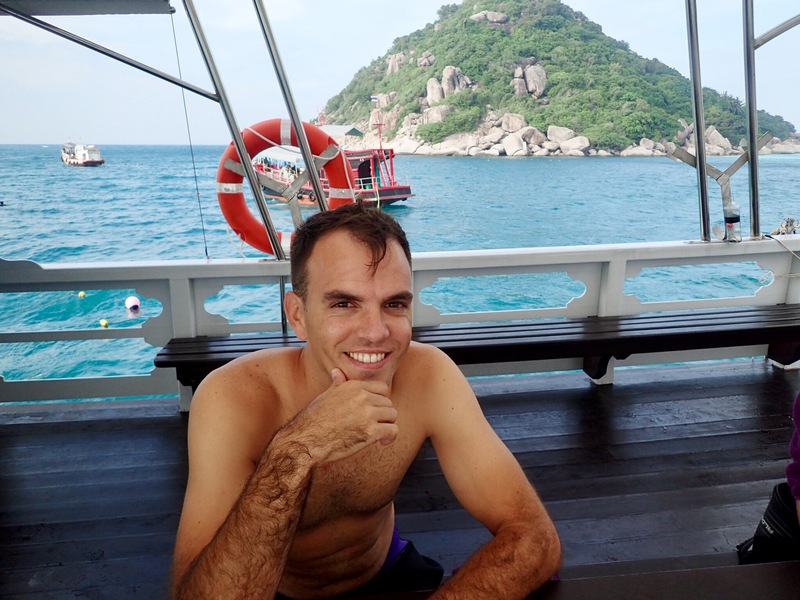 In the end, we accomplished our goal of diving in Koh Tao which as it turns out is one of the cheapest places in the world to get certified and has some excellent dive sites. We had a chunk of our time rained out, but we still made the most of it. We found out later that the rain continued relentlessly causing terrible flooding and erosion to many parts of the island. We unexpectedly learned a bit about stray animals and rabies. 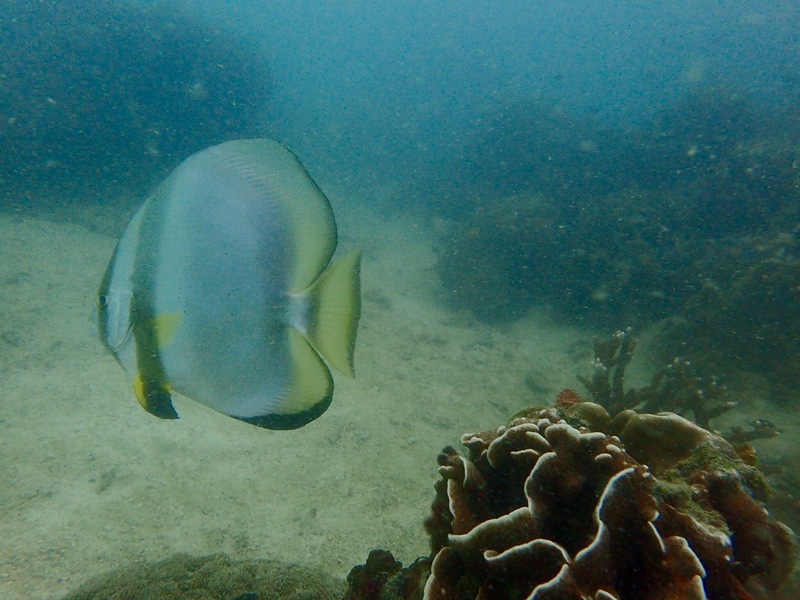 Finally, we would definitely recommend adding this stop to your itinerary if you are hoping for a laid back atmosphere with some very good and inexpensive diving. 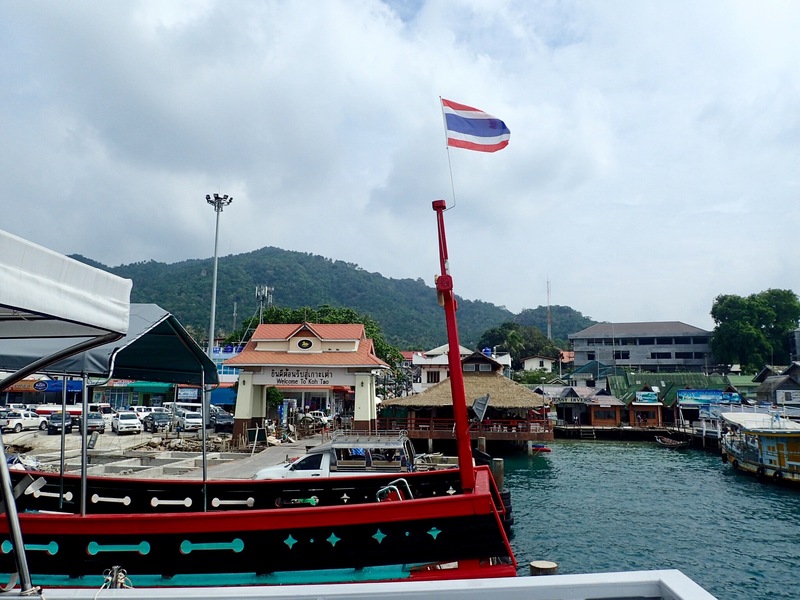 Now we’re off to the beautiful beaches of Krabi as we make our way to Ton Sai and Railay via our ferry-bus-van-boat journey! Stay tuned! Yes an amazing life experience! Thank you very much!